If you love pizza, we have spotted an unbelievable deal for you right now. 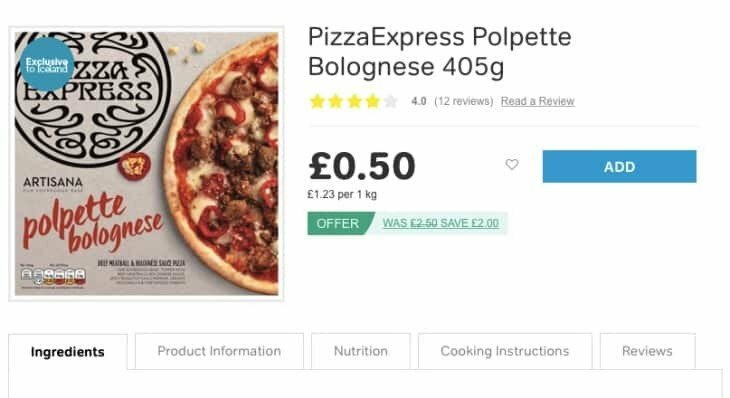 For a limited time only, you can get yourself Pizza Express pizzas at Iceland for only 50p! You heard that right, two of the most popular flavours have been reduced from £2.50 down to just 50p and these are Pomodoro Pesto Mozzarella & Tomato and the Polpette Bolognese pizzas. There is no catch and you can grab them right now at Iceland here and add them to your basket ready for home delivery. Stocks are going to be extremely limited though so we suggest you act fast while you still can. 50p for a Pizza Express pizza? It is almost too good to be true!